Matthew’s been fixing motorbikes for almost as long as he’s been riding them. He first started pulling apart his Yamaha RD50 moped and then progressed through some eclectic two wheeled choices: an MZ150 and then a Honda CX500. When his dear friend Sean Sadler was killed in a motorcycle accident, a shell-shocked Matthew at first planned to quit biking. 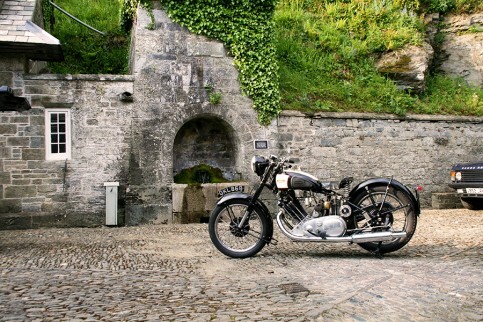 But then an old girlfriend suggested he switch from modern machinery to old British bikes “because,” she explained, “they break down all the time therefore dramatically reducing the chances of you being in a road accident.” So far her philosophy has proven sound. Matthew currently rides three interesting bikes. 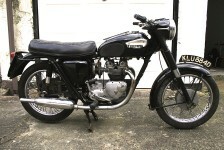 The one he’s had longest is a 1975 maroon and cream Triumph T140. Recently restored, these days it’s only taken for a ride when it’s dry and sunny but it’s been in Matthew’s hand for well over 20 years. 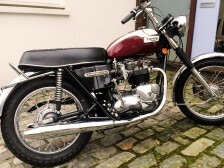 The most recent addition to the stable is a 1966 Triumph 5TA Speed Twin which used to belong to the father of TV’s Penny Smith – the coolest woman you could ever wish to fly with but that’s another story – in original condition. Indeed it’s still running on its original points, Matthew reckons. This is the bike he rides most days in and around London. 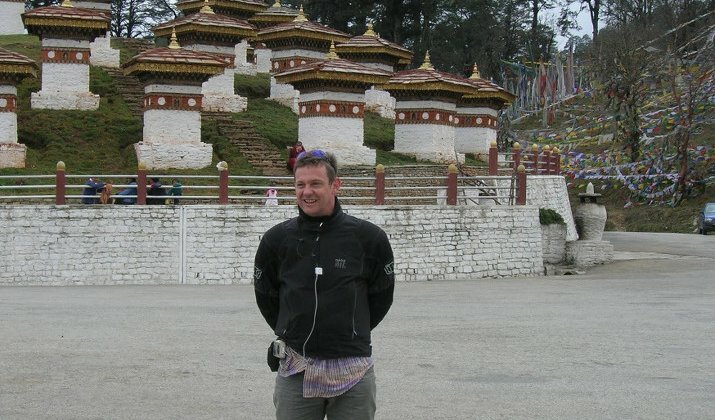 Along with his agent John Noel, another keen biker, Matthew has toured much of India, Vietnam and Bhutan – he says they started taking the long way around long before other more famous folk got in on the act – but don’t use support trucks unless absolutely necessary! The pair have ridden Enfields many times across India, including the southern Himalayas from Manali to Bhutan. 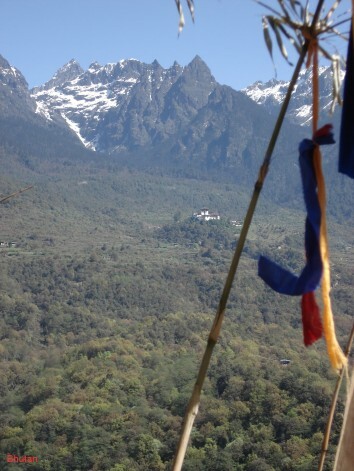 Matthew was once held hostage in Nepal when Maoists took control, witnessing extraordinary and frightening scenes in the run up to the 2008 election.